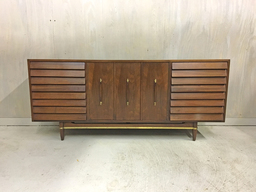 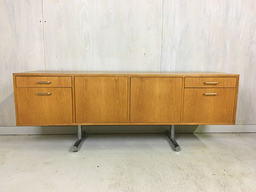 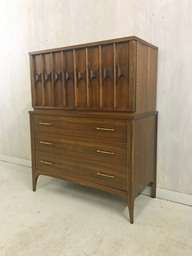 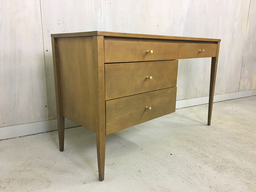 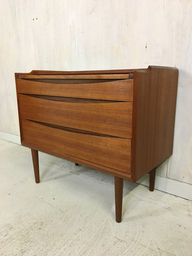 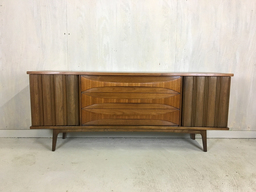 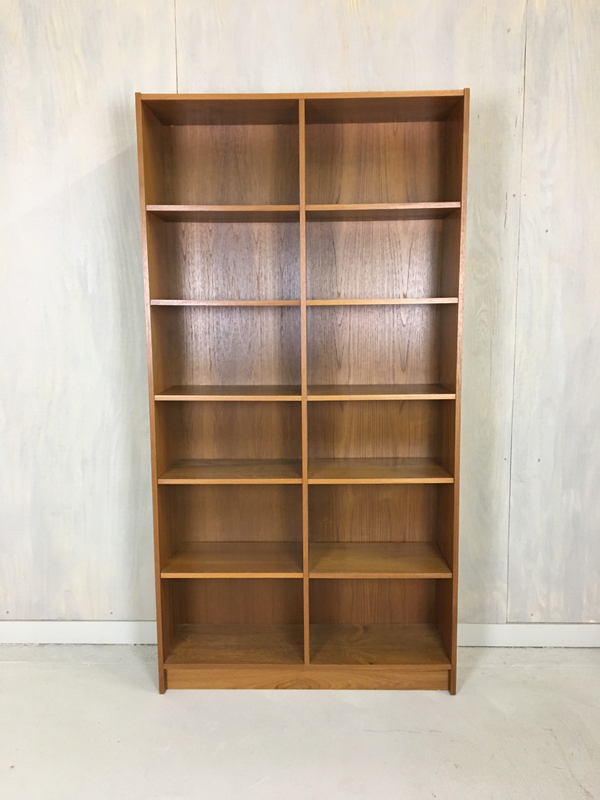 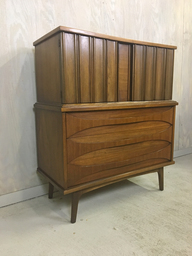 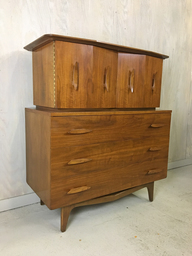 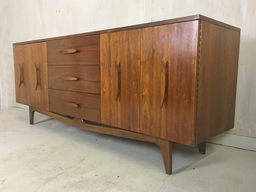 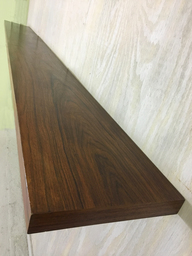 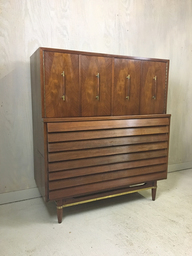 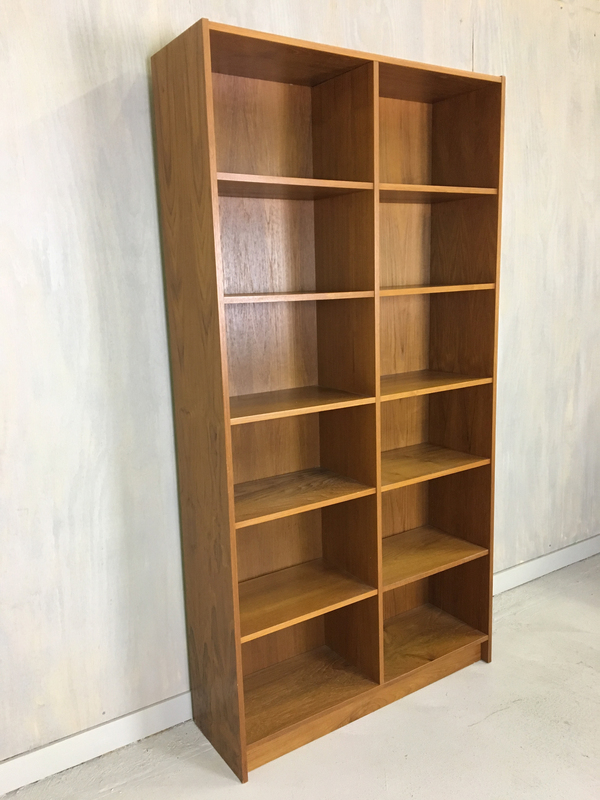 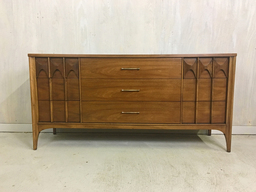 Marked "Made in Denmark," this teak shelf unit circa 1970s features eight adjustable shelves and two stationary ones in the center. 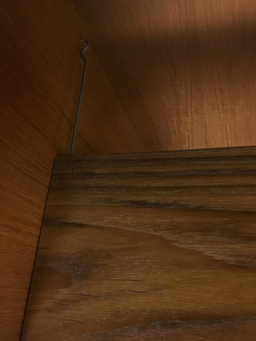 Wire mechanism for shelf adjustment. 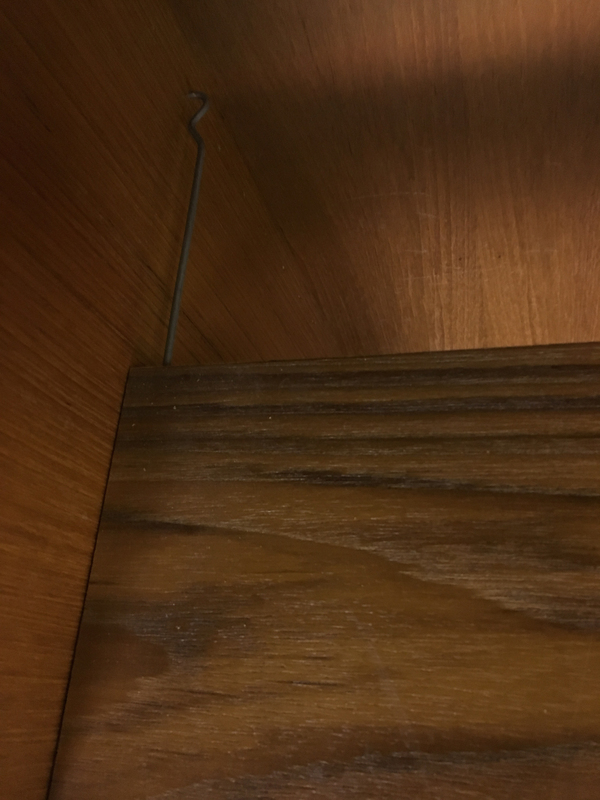 In excellent condition overall with some minor deterioration on the bottom rear of the frame which is not visible and does not impact the stability of the piece.